UDM Downloads > hed.dress - address database and contact management! hed.dress is intended for professional use. Addresses can be found quickly, even while speaking on the phone. By writing reports you can track customer contacts. 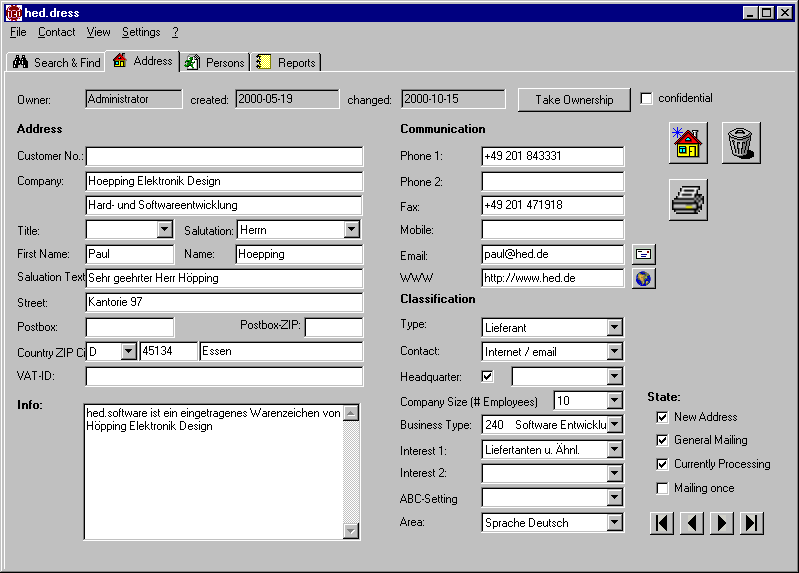 The addresses can be exported into a Palm PDA, the MS Outlook address book and for serial letters.